Horse, Flower, Bird is a most unusual book. While it is short at less than 200 pages, it is even shorter still as a number of pages consist of only a few lines of text—some four lines or less. 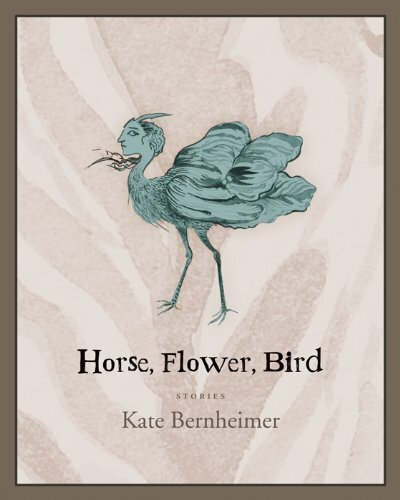 Horse, Flower, Bird is a collection of stories—fairy tales—but they’re not of the usual kind. They’re odd, quirky, and quite frankly weird: A girl becomes friends with a tulip bulb; a child has a relationship with her doll—both real and imagined; a woman hides a secret petting zoo in her basement; an exotic dancer has a strange relationship with her pet bird—and it, in turn, is linked to her dancing in a cage. These are just some of the rather bizarre tales. At first glance, this may appear to be a tiny book of fairy tales, but its impact is more profound than that. The prose is spare, poetic, and often lyrical. Horse, Flower, Bird is not a quick, casual read. The tales are metaphorical for hidden within the narrative of these little stories are messages to parse thorough and discover. This reader detected themes of mental illness, infidelity, prostitution, and the Holocaust. A book of this nature would work very well in an academic setting such as high school or a college, where critical thinking is required. It is no surprise that Kate Bernheimer is an Associate Professor and Writer in Residence each spring at the University of Louisiana in Lafayette—her writing is that impactful.